There's a lot in the news now about climate change, because a new ice age is climate change...and it's clearly President Trump's fault. 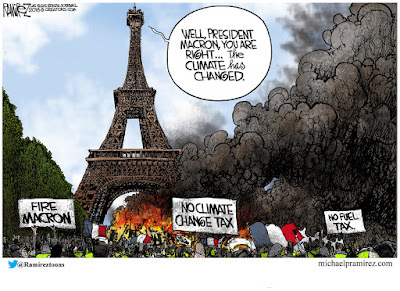 Unless you're in France, where the narrative has changed, and they don't want a new weather tax. California is kicking around the idea of taxing computer texting as a means to defeat the weather. 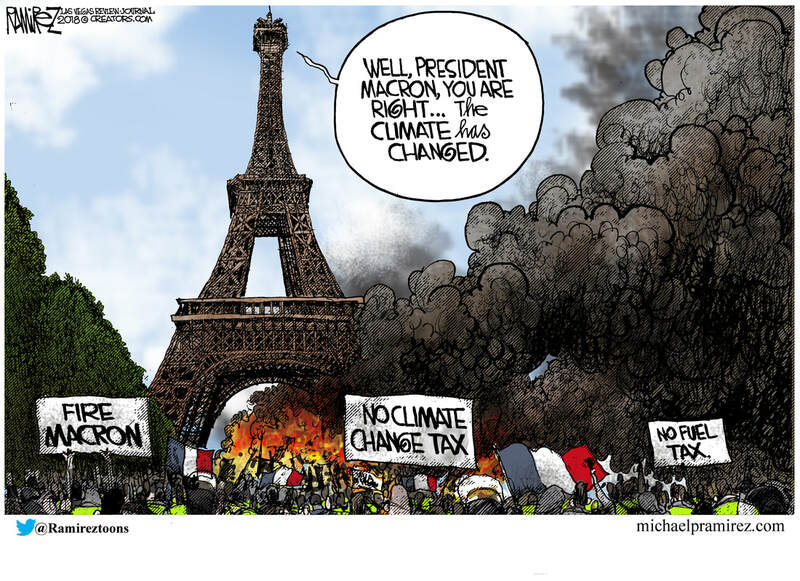 I'm sure that the people there would be thrilled to pay more in taxes if it's going to fight a headwind or to turn down the temperature of the Sun a few degrees. Eliminating plastic drinking straws in some progressive communities was a good first step in showing the world how it's done. Most of California is 'straw optional' and waiters give you a choice. At the same time, plastic water bottles are consumed in the millions every day and make their way to landfills -- a few by percentage, are recycled. Stopping pollution is important for its own sake, but there's no evidence that plastic drinking straws contributed to either the global warming hoax or to the coming ice age. Angry Hondurans marched in Tijuana, demanding $50,000 each and assuring the US Taxpayers that if they were paid the danegeld, they would go home. It didn't work for English who paid off Vikings 1300 years ago and I doubt that it would work in the case of Hondurans in Mexico, but nice try, right? I wouldn't be surprised if California paid them each $50K to hop the wall and set up residence in the Golden State. Maybe they could tax existing California residents for breathing air and give the money to the new voters. An Air Tax is very progressive. Since everything else is taxed, that's about all that's left to tax in the Golden State. 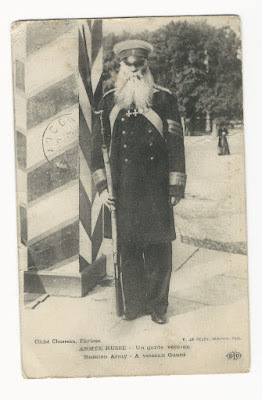 Guard -- before the revolution. Yeah, I just like the picture. A young, ruthless executive died and went to hell. When he got there, he saw one sign that said Capitalist Hell, and another that said Socialist Hell. In front of the Socialist Hell was an incredibly long line, while there was no one in front of the Capitalist Hell. So the executive asked the guard, "What do they do to you in Socialist Hell?" "They boil you in oil, whip you, and then put you on the rack," the guard replied. "And what do they do to you in Capitalist Hell?" "The same exact thing," the guard answered. "Then why is everybody in line for Socialist Hell?" "Because in Socialist Hell, they're always out of oil, whips, and racks!"